It is difficult to imagine a world where common infections could kill otherwise healthy people. But less than 100 years ago, this world was a reality. Since Alexander Fleming discovered Penicillin in 1928, there have been remarkable improvements in the treatment of infections. Gone are the days when bloodstream infections or meningitis were untreatable in otherwise young and healthy people. While these advancements have changed our world for the better, they create new challenges to be dealt with. Antimicrobial resistance is recognized worldwide as a threat to public health. Both the Department of Health and Public Health England have identified antimicrobial resistance as a key priority for the next five years (DH’s UK 5 Year Antimicrobial Resistance Strategy and PHE’s recently published seven priorities). This issue has implications for us all, but especially the children we care for. Antibiotics are the most commonly prescribed childhood medicine, and in much of Europe, antibiotic prescribing rates are highest in children (Spyridis & Sharland, 2008). Children and young people are also our future generation of antibiotic users, gatekeepers and prescribers. There is much to be done to ensure antibiotics are available to treat infections in the generations to come. As nurses and child educators, we have an important role to play in the protection and stewardship of antibiotics. We can have a great impact on preventing the spread of infections among the children we care for, and therefore reduce the need for antibiotics. The Chief Medical Officer Dame Sally Davies recommends that education and awareness need to be improved around both antimicrobial resistance and strategies for its prevention (Annual Report of the Chief Medical Officer, 2013). Today is European Antibiotic Awareness Day, a campaign to spread messages on the risks associated with inappropriate antibiotic use and how to use antibiotics responsibly. 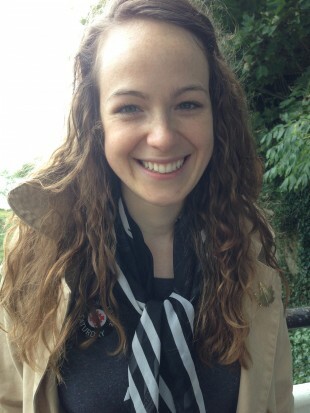 One resource to help school nurses educate young people about these important topics is e-Bug. e-Bug is a comprehensive, evidence-based educational resource comprised of lesson plans, activities, worksheets, an interactive website and much more. e-Bug is operated by the Primary Care Unit at Public Health England. The aim of e-Bug is to increase young people’s understanding of prudent antibiotic use in order to decrease both antibiotic resistance and the over-use of antibiotics. The resources also educate about microbes, hygiene and vaccinations, aiming to prevent the spread of infection and subsequent antibiotic prescribing. In addition, resources for senior students cover topics on sexual health. This past year, e-Bug has been working with school nurses to understand the needs of the nursing community related to health education on these topics. The e-Bug team conducted research with school nursing teams in four different localities across England to understand how e-Bug can assist nurses in their work with children and young people. We will be using these results to develop new resources in the next year. 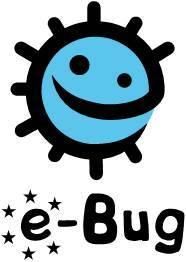 All the e-Bug resources are available for free to download from www.e-Bug.eu, and the interactive website is also a great place for young people to play games and learn about these topics. Today, for European Antibiotic Awareness Day, e-Bug is launching new resources on antibiotics, designed for young people aged 15 to 18 years. New resources include lesson plans, debate kits, and animations all hosted on a new website. The new website has been developed specifically for young adults to learn how to protect and improve their health. To view our new young adult website, launched today, click here. During this week of action on children and young people’s health, we are reminded of the great impact we can have on protecting and improving health in our communities. Today, on European Antibiotic Awareness Day, I remind you of the great role we can play in educating the public about the spread and prevention of infection and subsequent antibiotic use. By educating children and young people about infections and their spread, we can continue to protect the health of current and future generations in our communities.